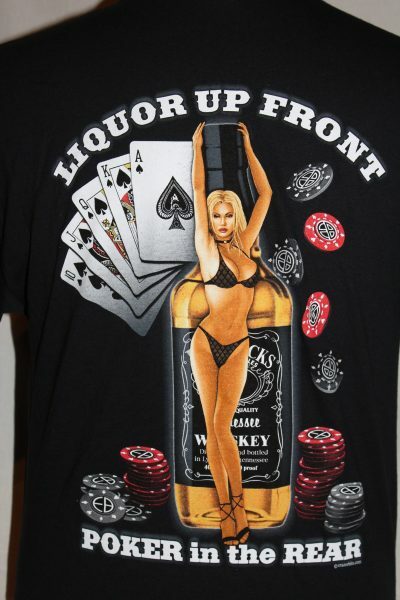 The "Liquor Up Front" shirt is a two sided print in the color black. 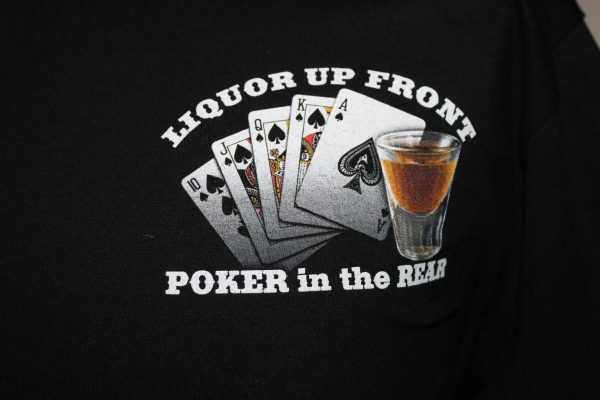 Front Design: Left Chest Royal Flush in spades, liquor glass, and text. Back Design: Royal Flush in spades, Model superimposed over fifth of whiskey, poker chips, and text. 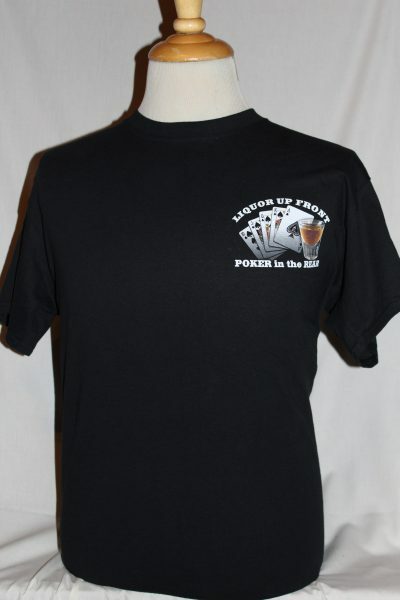 Heavy Gildan 6.1oz 100% preshrunk cotton t-shirt. 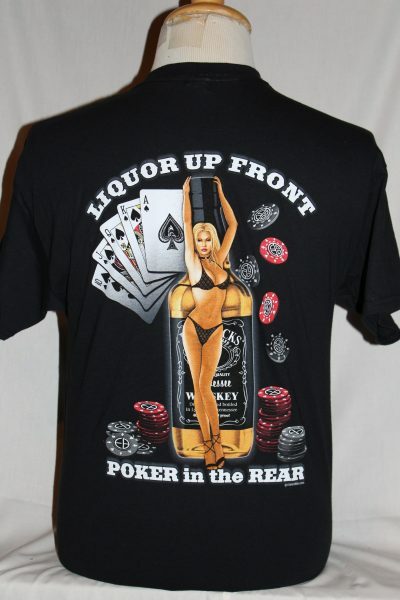 This shirt will retain its shape and color through multiple washings.